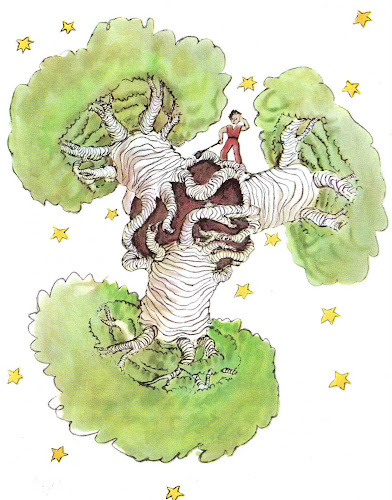 And so begins one of the most timeless and wonderful stories for children ever set down on paper. Inspired partially by a real crash in the Sahara experienced by the pilot Saint-Exupery, the book begins with the narrator explaining why he became a pilot and a geographer instead of an artist. Once when I was six years old, I saw a magnificent picture in a book, called True Stories from Nature, about the primeval forest. It was a picture of a boa constrictor in the act of swallowing an animal. Here is a copy of the drawing. 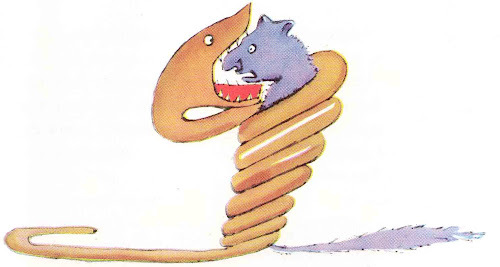 In the book it said: "Boa constrictors swallow their prey whole, without chewing it. After that they are not able to move, and they sleep through the six months that they need for digestion." I pondered deeply, then, over the adventures of the jungle. And after some work with a colored pencil I succeeded in making my first drawing. My Drawing Number One. It looked like this: I showed my masterpiece to the grown-ups, and asked them whether the drawing frightened them. But they answered: "Frightened? Why should any one be frightened by a hat?" Thus the man's career as an artist is over, his mistrust of adults is born and the tale begins. After crashing in the desert, the man meets a strange little boy, and when he shows the boy the picture, the boy immediately knows that it's a boa constrictor digesting an elephant. 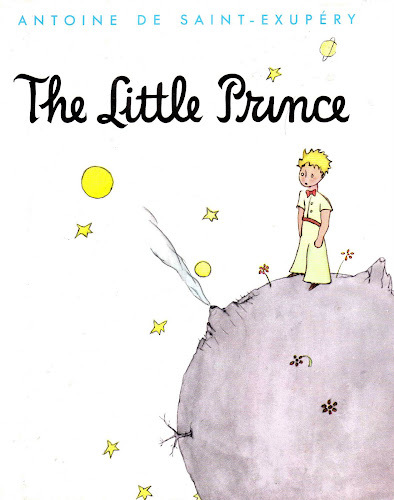 From there, the man finds out more and more about the mysterious little prince who fell from an asteroid. The prince tells him of his own world and his love affair with a rose and his travels to other asteroids and the people he meets along the way. Each experience philosophic and telling - hitting all the big themes like death, life, childhood and love. Perhaps the most poignant being the conversation the prince has with a fox he has tamed. I wish I could tell you guys the many ways this book is special, but really, it is so unique and honest and beloved by millions, the actual tale can mean many different things depending on who the reader is and at what point in their lives they are reading it. 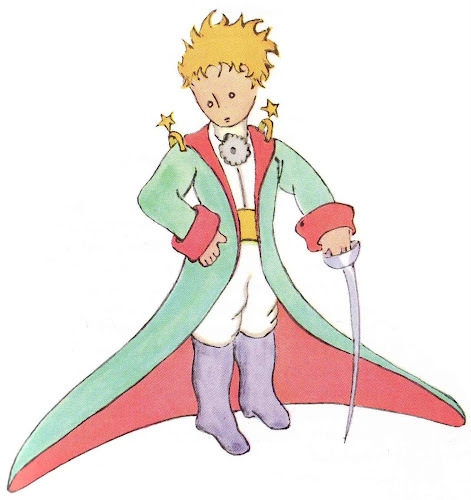 I will tell you this though, at four and a half, my boy always cries at the end when the little prince finally leaves the man. It seems the sadness we know from losing someone we love is an emotion we're born with. Within a year of the book being published, Saint Exupéry disappeared in his fighter plane over the ocean and was never seen again. Too bad some of us don't get to hang around long enough to see the love we've made. I saw the pop up one too! Isn't it neat? I love the little video they posted too. This is a great little book that I grew up with but my mom didn't let me take off her shelf...I have to get my own copy! Thanks for posting this. I've been trying to decide if my 8-year-old is ready for this as a read-aloud. (You know the feeling of not wanting to introduce a fantastic book too soon?) You just reminded me that it would definitely appeal to her now.